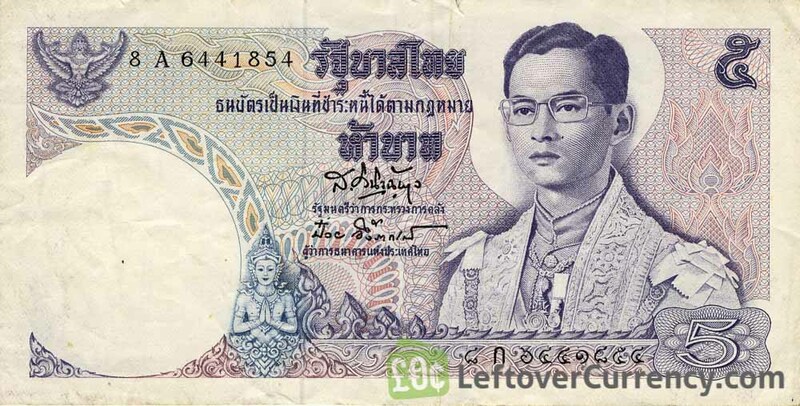 Convert your leftover withdrawn Thai Baht banknotes to cash using our hassle-free online exchange service. Get paid fast for your unused currency from Thailand. 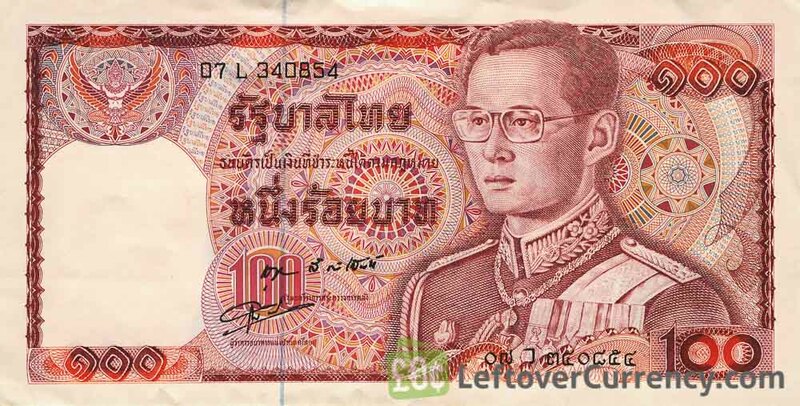 Since 2012, Thai Baht banknotes feature an updated image of King Rama IX. 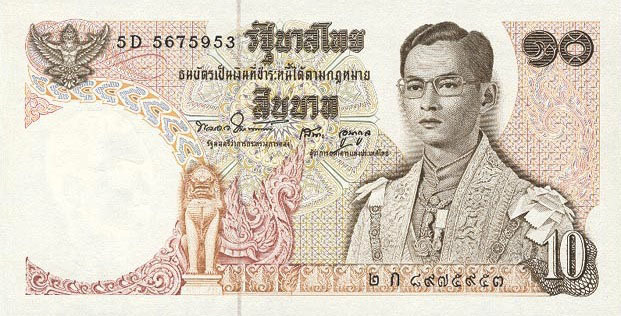 Older Thai Baht bills issued by the Bangkok-based Bank of Thailand are gradually being replaced. 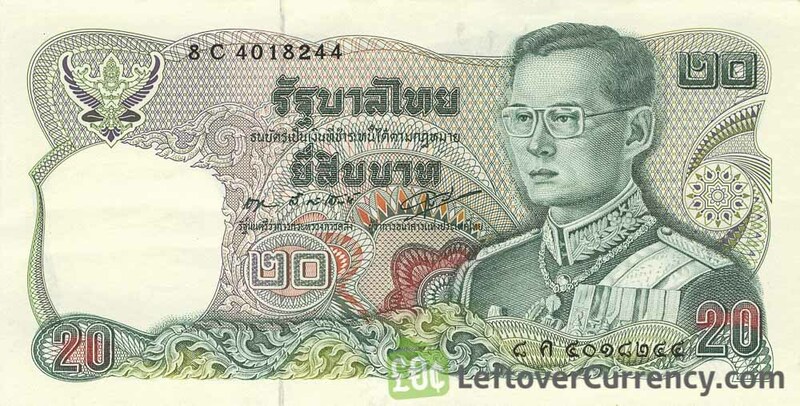 Discontinued Thai Baht notes may be accepted by local shops in Thailand, Laos, Cambodia or Myanmar. 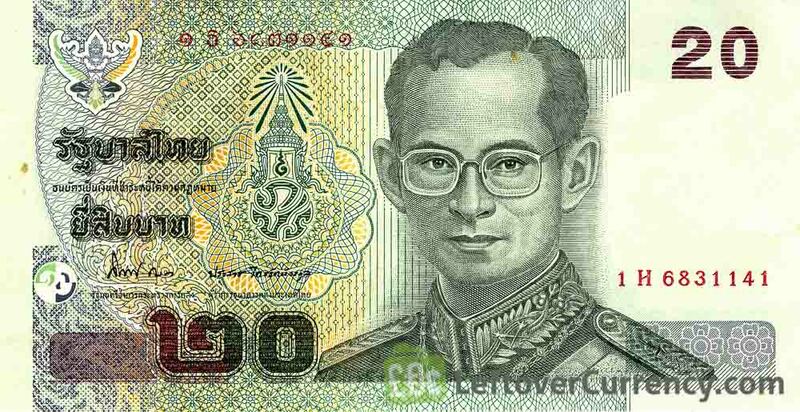 Exchange offices outside Thailand will refuse to accept legacy Thai Baht banknotes. 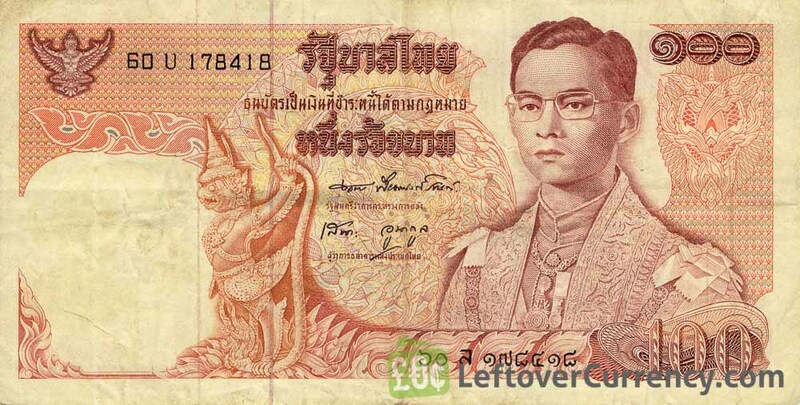 We exchange all withdrawn Thai Baht banknotes free of charge. We also give cash for current Thai Baht banknotes and coins. 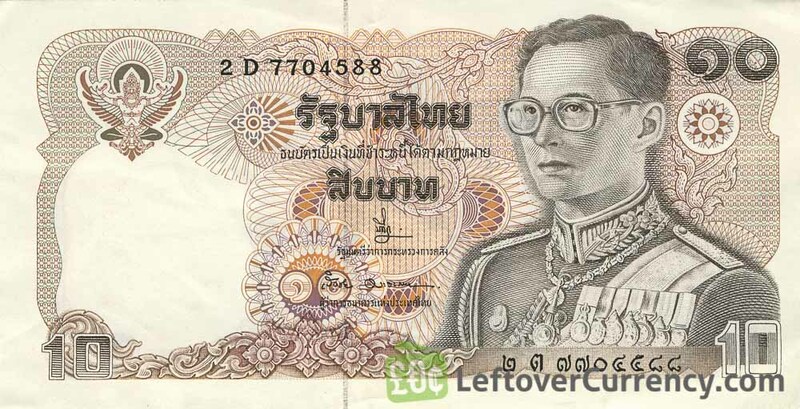 Do you have withdrawn Thai Baht banknotes like the ones in the pictures below? Add the amount you want to exchange to your Wallet. You'll see exactly how much money you'll get for your Thai Baht. Click on the Wallet symbol to complete checkout and get paid within 5 days of receiving your currencies.